Jill Landrith, who has led Ballet Wichita as artistic director for 20 years, announced her retirement this week. Landrith said she is stepping down from the position to focus more on teaching and developing her private ballet school, the Jill Landrith School of Dance. “You give yourself 100 percent to everything and after 20 years it’s like, OK, let me just hone in on something,” Landrith said. Landrith will transition out of her position over the next few months, and she will remain with the organization through its summer performances and events. 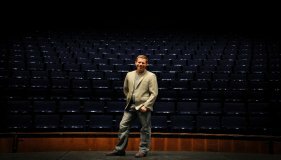 Landrith is the fourth artistic director in Ballet Wichita’s 43-year history. She began her career with the ballet as a dancer under the direction of her mother, June Landrith, who was Ballet Wichita’s founding artistic director. Many of Landrith’s former Ballet Wichita dancers are quick to praise her. Earlier this week in an unrelated conversation, a Broadway actress and former Landrith student, Shina Ann Morris, told an Eagle reporter Landrith was a major influence in her career. According to the news release, 2016 was a record year for Ballet Wichita – the company added more cities to its “Ballet in the Park” series and added a third performance of “The Nutcracker.” The company performed for more than 10,000 people in December alone, according to the release. 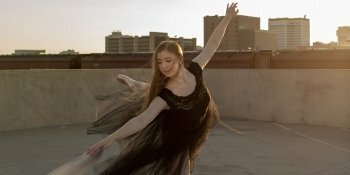 Ballet Wichita will immediately begin a national search for a new artistic director, and plans to have either a new or interim director before the company’s annual auditions in late August.